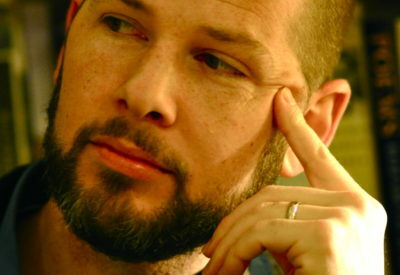 Colby Dickinson is associate professor of theology at Loyola University, Chicago. He is the author of Agamben and Theology (T. & T. Clark, 2011), Between the Canon and the Messiah: The Structure of Faith in Contemporary Continental Thought (Bloomsbury, 2013), The Spiritual and Creative Failures of Representation: On Poetry, Theology and the Potential of the Human Being (Fordham University Press, 2015), Agamben’s Coming Philosophy: Finding a New Use for Theology, with Adam Kotsko (Rowman & Littlefield, 2015), Continental Philosophy and Theology (Brill, 2018) and An Introduction to Theology and Contemporary Continental Philosophy: The Centrality of Negative Dialectics (Rowman & Littlefield, 2019). He is the editor of The Postmodern “Saints” of France: Refiguring “the Holy” in Contemporary French Philosophy (T. & T. Clark, 2013), The Shaping of Tradition: Context and Normativity (Peeters, 2013), and coeditor, with Stéphane Symons, of Walter Benjamin and Theology (Fordham University Press, 2015).